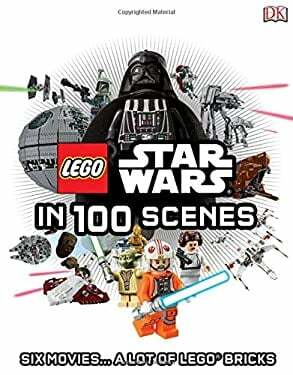 This fun LEGO(R) "Star Wars"(R) book retells all six "Star Wars" films in 100 iconic scenes using LEGO "Star Wars" sets and minifigures. Relive the amazing "Star Wars" adventure in brick form with this humorous retelling of the LEGO "Star Wars" complete saga. Learn fascinating facts about the LEGO "Star Wars" sets and rediscover your favorite LEGO "Star Wars" minifigures, from LEGO Darth Vader to LEGO Luke Skywalker. LEGO, the LEGO logo, the Brick and Knob configurations and the Minifigure are trademarks of the LEGO Group. (c)2015 The LEGO Group. Produced by DK Publishing under license from the LEGO Group. (c) & TM 2015 LUCASFILM LTD.